It is with great pleasure that I announce the opening of BIOLIFE4D research labs at JLABS, within the Texas Medical Center, Houston. After several months of strategy planning, BIOLIFE4D is now positioned in the heart of the world’s largest medical center, Texas Medical Center. Houston is the mecca of heart research and is home to many world class institutions with established programs in cardiac regeneration. My ability to position BIOLIFE4D’s research in the heart of such a rich research enterprise brings us one step closer to bioengineering human hearts for transplantation. I have a long-standing relationship with the city of Houston and the Texas Medical Center. Over the past several years, I have developed and maintained strong relationships with top cardiac researchers in Houston. 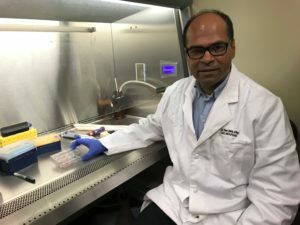 As we establish new research facilities for BIOLIFE4D in Houston, I will continue to work with my colleagues and leverage their expertise; this will undoubtedly accelerate development of hearts for human transplantation. Dr. Jeffrey Morgan, Chief Medical Officer of BIOLIFE4D, is based in Houston, Texas and our close proximity to Dr. Morgan is critical to the success of BIOLIFE4D. My constant interaction with Dr. Morgan is important to my understanding of the design specifications for human hearts and his input will drive our research activities. This will accelerate the development of transplantable hearts and bring us one step closer to accomplishing our mission. Our operations at JLABS will also provide us access to resources and technologies that can help us to advance our 3D bioprinting process – resources that are industry-leading and can enable us to produce the many intricacies of a human heart. The human heart is a complex organ, one that consists of many different cells that act in synchrony. Contractile cardiac myocytes respond to electrical impulses from Purkinje cells, which in turn are stimulated by nodal pacemaker cells. The cardiac circulatory system consists of a vast network of blood vessels that deliver nutrients to every cell in the heart. One of the critical steps in whole heart fabrication is the ability to regulate the phenotype of stem cells to specific lineages. Our ability to reprogram human stem cells to all cell types of the heart is significantly enhanced with the collaboration of the top stem cell scholars located at the Texas Medical Center. We look forward to beginning our research within JLABS, and to the many exciting scientific milestones to come.